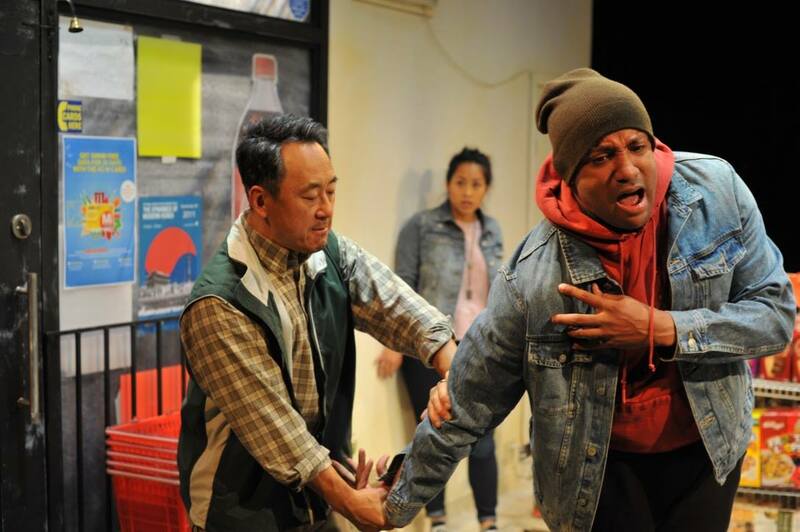 Come see the play that inspired the hit CBC TV show, Kim’s Convenience at Pacific Theatre from now until October 6, 2018. Mr. Kim is proud of his store, Kim’s Convenience. After thirty years of selling lottery tickets, catching petty thieves, and reporting illegally parked cars, he tries desperately – and hilariously – to convince his artist daughter Janet to take over the store. For show times and ticket info click here. You can also check out our review of the play here. 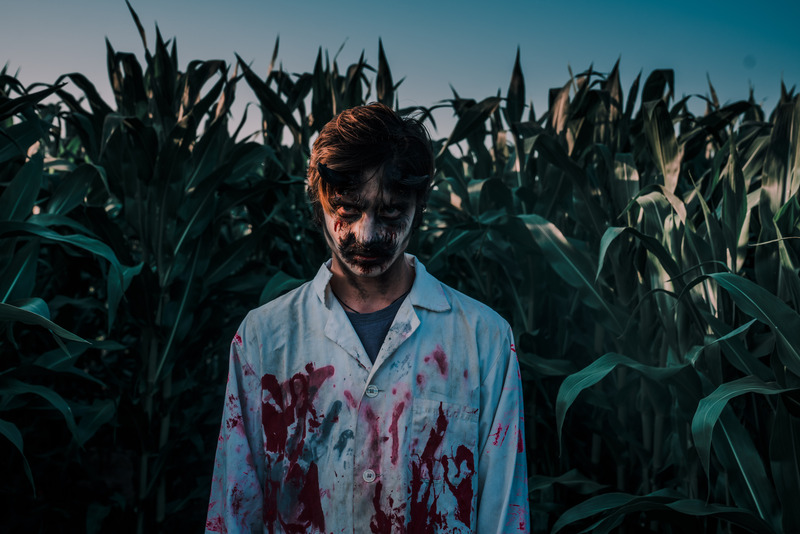 Promoted as one of the scariest corn mazes in Canada, Maan Farms’ welcomes you to come venture into their 5 acre corn maze with only a flashlight – just in time for Halloween! Monsters, the undead, and a chainsaw wielding psycho to chase you through this maze, come prepared to be scared as it’s not your usual haunted house experience. For tickets and schedule info, visit www.maanfarms.com. 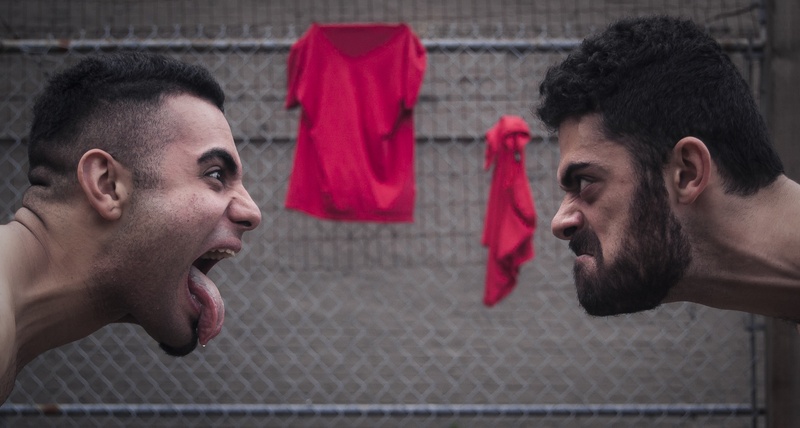 Firehall Arts Centre presents its latest production Cain and Abel, inspired by the biblical story, October 3-6, 2018. This show explores the idea of jealousy and sibling rivalry which leads to fratricidal violence, fueled by the patriarchal society we inhabit. Performed in two parts, the first half of the show is highly physical, aggressive in rhythm and stereotypically masculine, while the second half of the show is a reaction to the absence of women from the biblical story. Inspired by Jean Genet’s The Maids, the work is a study of Cain and Abel as two sisters. For tickets, visit firehallartscentre.ca. Port Moody wants to celebrate Oktoberfest with you on October 5-7, 2018 at 100 Newport Drive! Returning this year with even more food vendors and a bigger tent, join the neighbourhood as they celebrate this large German festival, increasingly popular and larger each year. Watch as Port Moody’s serves up Original “München Oktoberfest” beers, Paulaner, and Hacker-Pschorr, along with Schnitzel, bratwurst, pretzels and hurricane potatoes. There’ll be live entertainment and Miss Oktoberfest contest as well! For more info visit www.oktoberfest.ca. 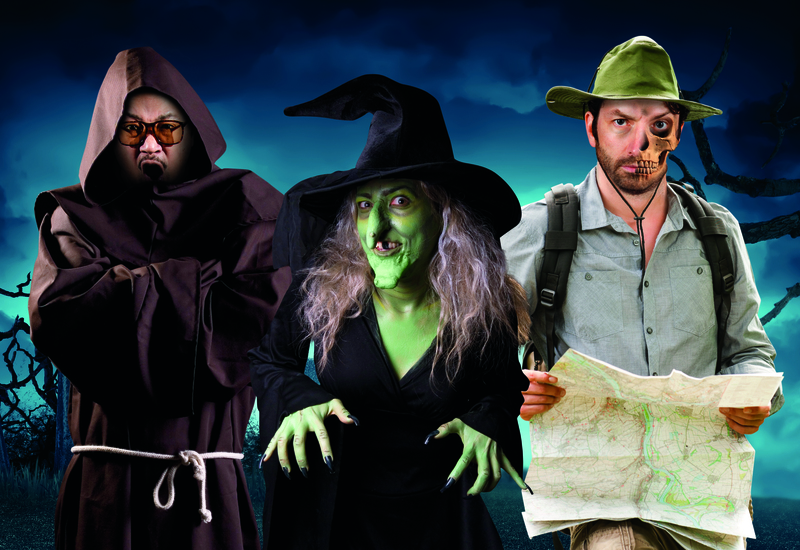 Whether it’s with a group of ‘ghoulfriends’ getting together for a night out or a date with your ‘boo’, Vancouver TheatreSports dares you to laugh this October with its ‘spirited’ line-up of Halloween-themed shows taking place October 9-31 at The Improv Centre on Granville Island. 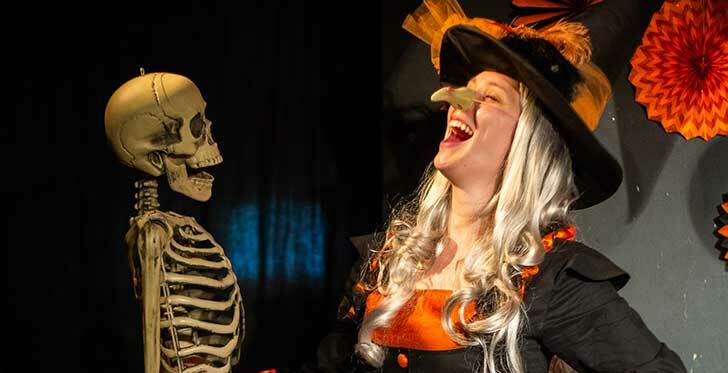 Aptly named Spooktober, this limited-run seasonal celebration of all things eerie features four different shows for a total of eleven ‘unboolievably’ hilarious weekly performances you’ll be ‘dying’ to see. For full show and ticket info visit www.vtsl.com. Join the Ronald McDonald House BC & Yukon for the 16th annual A Night to Dream Gala on Thursday, October 11 at JW Marriott Parq Vancouver, situated in the city’s hottest entertainment destination. The elegant evening will include fine food and wine, dancing and an exclusive live and silent auction in celebration of this amazing community that keeps families close when it matters most. For tickets and info, please visit: rmhbc.ca/a-night-to-dream. 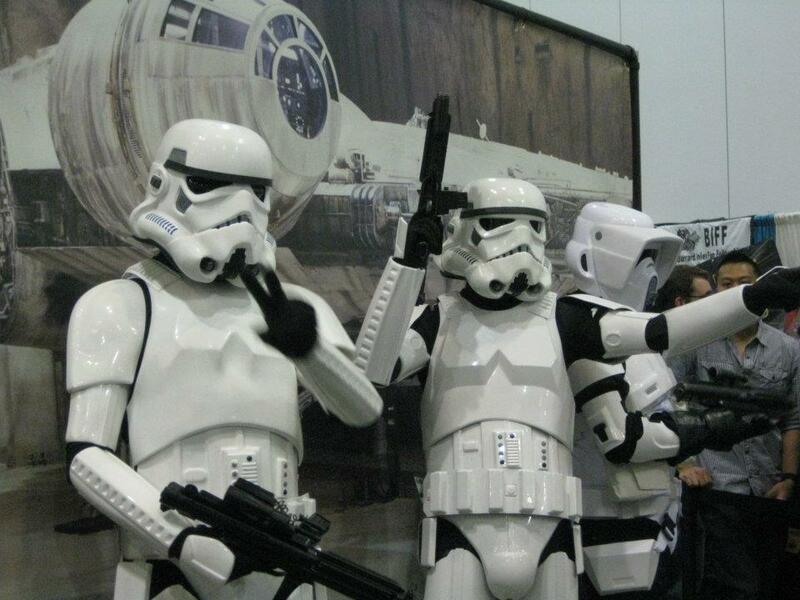 One of the largest pop culture and comic related events in Vancouver, Fan Expo Vancouver takes place October 12-14, 2018 at the Vancouver Convention Centre. The event is brought to you by the same team that produces the long-running FAN EXPO Canada event in Toronto. This year meet celebrity guests such as Jason Momoa, Ron Perlman, Jaleel White, Lou Ferrigno, and Wil Wheaton! For all the latest info, tickets, and schedule line up, visit: www.fanexpovancouver.com. Presented by TD Bank Group, the annual Arts Umbrella Splash Art Auction & Gala brings art-lovers together for a show-stopping evening featuring live performances, delicious food, and, at its core, a comprehensive art auction comprised of nearly 100 pieces by prominent B.C. artists. This year, Splash celebrates its 36th anniversary with auction items donated by an impressive array of feature artists, including Douglas Coupland, Marie Khouri, and Jeff Wall. There will also be live performances by the Arts Umbrella Dance Company and Pre-Professional Theatre Troupes, as well as an exclusive showing of a student-created Claymation video. Afterward, guests are invited to hit the dance floor and groove all night long to the musical stylings of DJ Chloe. For tickets and info, please visit: www.artsumbrella.com/splash. Celebrating 15 years, Diwalifest is hosting Diwali Downtown, taking place in Downtown Surrey at Surrey City Hall on October 21 from 2pm-5pm. 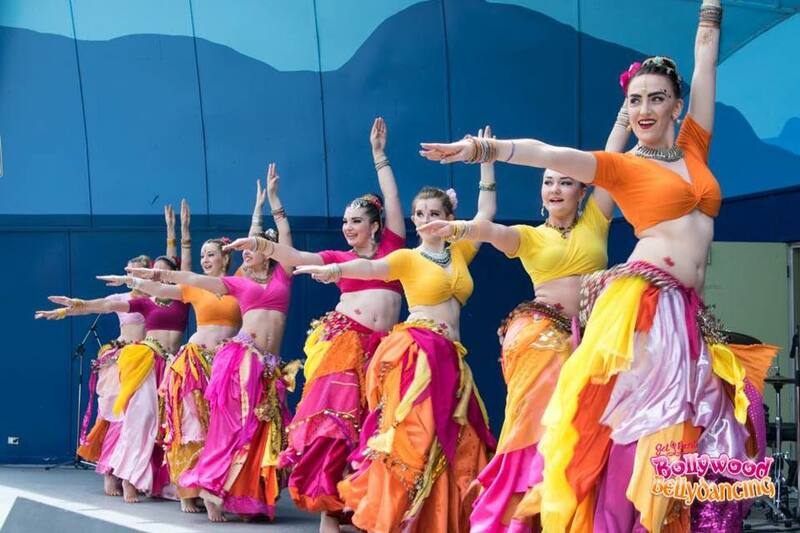 Diwali Downtown is the festival’s main event and a key attraction for their festival sponsors, drawing thousands of attendees from all demographics for a South Asian cultural extravaganza. Diwali Downtown brings together the best of contemporary and classical Indian culture for the entire family. This year’s event will include over fifteen unique music and dance performances, an Indian style bazaar (marketplace) featuring South Asian crafts and food. For more info on Diwali Downtown and other events happening in the city to celebrate Diwali, visit diwalifest.ca. Taste the city by exploring Gastown this month in Tasting Plates Vancouver’s evening tasting event for October. On October 24th from 6pm until 10pm, Vancouver Foodster is hosting a self-guided foodie adventure for those interested in tasting some of the latest restaurants in Gastown such as Water Street Cafe, Buro The Espresso Bar, Balila Taste Kitchen, Wishing Treats, and more. Tickets can be purchased through EventBrite here. Explore the Haunted Village in the dark of night at Burnaby Village Museum October 26-29, 2018. Come wonder at the curious, find the unusual and discover the unexpected. Visitors are encouraged to wear their costumes and dancing shoes! Everyone is invited to join the Hill Street Bash! It’ll be a spooktacular time! Tickets and event times can be found here.